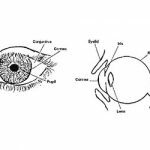 In order to perform an examination of the eye and its vision, you must know how to check PERRLA. 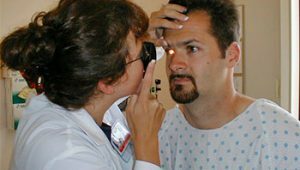 There are three areas in the ophthalmic assessment that is addressed for vision, which includes an assessment of medical history, a physical ophthalmological examination, as well as special ophthalmological diagnostics and refractive procedures. 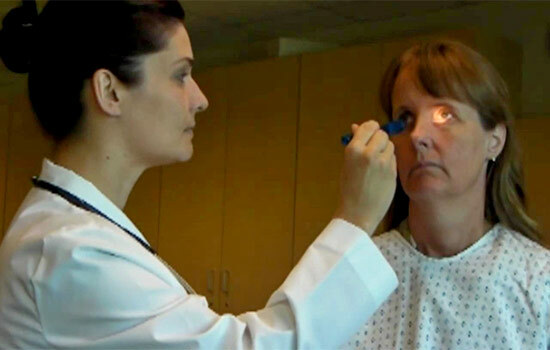 The pupil examination is part of the physical ophthalmological examination and will lead you to check PERRLA. 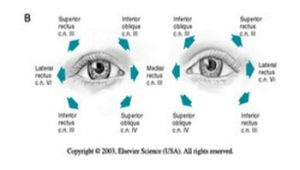 When we are examining the pupil, we assess the reaction of it towards the light and a near vision with convergence. The iris can change its size to control the light that enters the eye. When photosensitive cells of the retina come in contact with light, a normal pupil will constrict regularly and concentrically. The reaction has to be quick and symmetrical. There will be a simultaneous constriction of the other pupil. 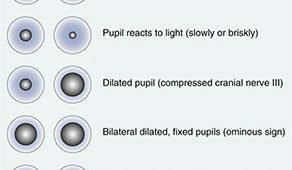 A constriction of the pupil that is stimulated is called as direct light reflex while the constriction of the pupil of the other eye is called as an indirect light reflex or consensual. The consensual reaction is evaluated on both eyes. Exploration regarding this phenomenon will enable us to differentiate between blindness caused by optic nerve injury and blindness caused by a central disease. 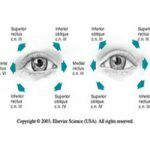 On eyes that suffer from nerve injury, the direct light stimulation will not produce a pupil response, but on the eye that is not damaged, direct light stimulation will induce a response in the damaged eye. Slow response or no reaction at all can happen in the increase of intracranial pressure. If the patient can follow orders, the pupil reaction towards near vision and convergence can be examined. The pupil will not react towards accommodation done by the lens but will constrict when the eye converges on a near object. 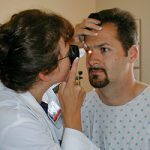 It can be clearly observed by asking the patient to focus on an object at a certain distance and follow the finger of the examiner which is moved closer until it reaches the distance of 3 to 5 inches in front of the patient’s nose. 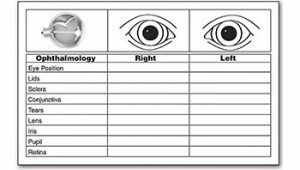 As a response, the normal pupil will constrict when the eye converges to focus on the finger of the examiner. Lens accommodation cannot be observed but it can only be assumed. 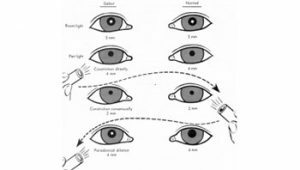 Autonomic diseases for example due to syphilis or diabetes can cause the pupil not to produce any response towards light but able to respond towards accommodation. This type of pupil is called as the Argyll Robertson pupil. Even though pupils have to be more or less the same size and shape, procedures such as lens implantation, iridectomy, or traumatic and congenital defects can cause a difference in shape. Some patients with an increase of intraocular pressure can undergo a pupil change that needs a series of examination. 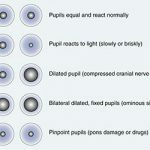 If all the findings in pupil examination are normal, then it is usually documented and shortened as PERRLA which stands for pupils equal, round and reactive to light and accommodation. Now that you know how to check PERRLA, be sure to document other descriptive findings clearly and in detail. 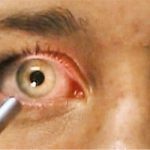 Related Posts of "How To Check PERRLA By Examining The Pupil"